Utilizing a systematic approach, glo Skin Beauty offers the ability to treat multiple skin concerns with home care programs and professional treatments. With innovative technology and the newest developments in skin care science, glo Skin Beauty formulations are not only free of parabens and dyes, but are also potent with powerful active ingredients that are essential to transforming skin. As a part of the glo family of products, glo Skin Beauty is one of three product lines. glo Skin Beauty is dedicated to the notion of revealing beauty and unraveling its divinity. With ultimate coverage and vibrant color palettes, their award-winning mineral formulas help nurture, protect, and heal the skin. Advanced formulations are carefully made with pharmaceutical-grade and talc-free ingredients that consistently work to treat skin concerns and improve skin health. With a full collection of toners, cleansers, moisturizers, serums, and specialty treatment formulations, glo Skin Beauty is based on groundbreaking science and professional research. 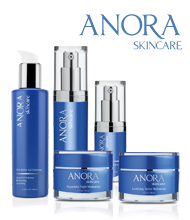 All three lines of makeup, skin care, and hair contain uniquely blended formulations made specially for skin care experts and beauty professionals, including their clients. One of the featured products is glo Skin Beauty Healing Gel. This gel helps relieve redness and irritation caused by breakouts, allowing skin to properly heal and reveal with a flawless finish. glo Skin Beauty Healing Gel is recommended for oily, congested skin prone to breakouts.